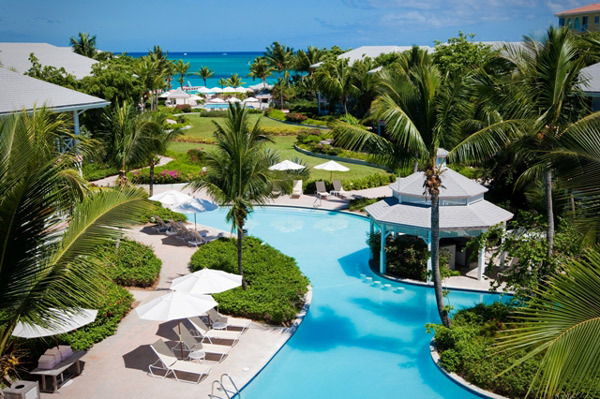 The Ocean Club is a Turks and Caicos original. The resort, located on the widest stretch of stunning Grace Bay Beach, was the first on the island to offer guests condominium-style one, two, or three bedroom accommodations. Each suite includes a spacious dining and living area that feels like an island retreat with all the comforts of home. Service reigns at this sprawling, yet immaculately maintained property. Not only do guests have access to all the pool, restaurant, diving, spa, and golf services that come with staying at the Ocean Club, they’re also privy to everything offered at their sister property, Ocean Club West. Think two for the price of one. If cooking is the last thing you want to do at your vacation home-away-from-home, there is no need for concern. The Ocean Club’s superior amenities rise to the occasion when it comes to satisfying your palette. 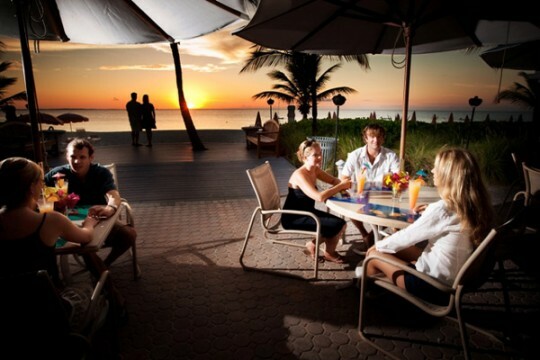 The resort’s Cabana Bar & Grille offers alfresco dining mere steps from the ocean, while The Opus restaurant features gourmet dining with a five-star menu. But if watching the sunrise from your balcony with coffee in hand is something you can’t resist, then your suite’s full kitchen is a ready convenience. 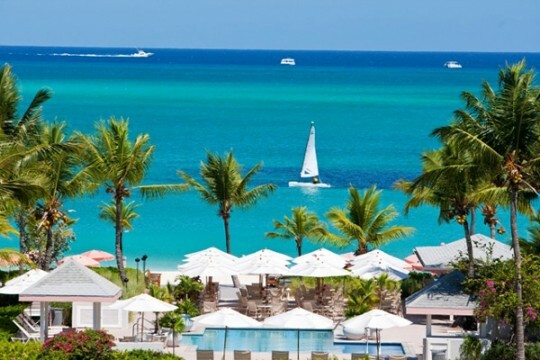 When the Ocean Club first opened its doors, there were but a handful of hotels in Providenciales, the most inhabited of the Turks and Caicos Islands. 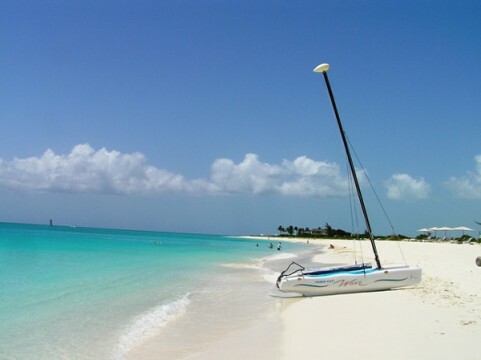 At the time, Grace Bay Beach was the Caribbean’s best kept secret. Ocean Club General Manager Tom Lewis remembers those early days. “People used to say, ‘You’re going where?’ Back then, people referred to us as the Turquoise Islands,” Lewis said. For those who love the beach and golf, then the Ocean Club is a special treat. Located a short walk from the Ocean Club entry is Provo Golf Club, the only golf course in the Turks and Caicos Islands. 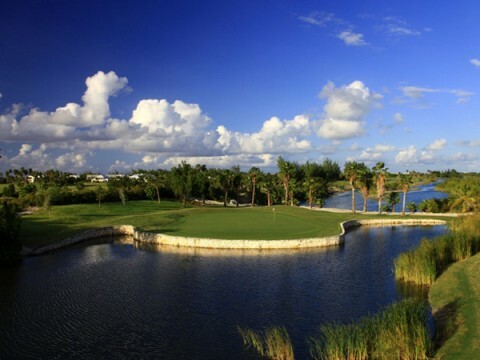 Consistently ranked as one of the top golf courses in the Caribbean, Provo is a wonderful blend of flowers, palm trees, conch shell tee markers, and exotic birds. Your round of golf is accompanied by a serene sense of quiet. This is a Caribbean golf experience where exhilaration and relaxation become one. What’s great is your golf gift doesn’t end after 18 holes. Anticipate a bonus upon walking into the Provo clubhouse. Check out the waves of golf flags adorning the clubhouse ceiling. The flags represent some of the most famous golf courses in the world. A super way to top off your day is with a cocktail on the outdoor deck. The deck is a great vantage point for watching golfers on the 18th green or simply reveling in your exquisite surroundings. Remember, the course is across the street from the Ocean Club if you choose to do this all again tomorrow. Grace Bay Beach and the Caribbean Sea is definitely the drawing card for anyone choosing Providenciales as a vacation destination. If you enjoy thrills below sea level, realize Turks and Caicos has one of the best coral reefs in the world. The Ocean Club is home to Provo Turtle Divers, a great resource for master divers or someone making their very first plunge. Turtles, parrot fish, yellow tangs, french angel fish, and blue hamlets are just a sampling of the mysterious marine life thriving in the Turks and Caicos underwater world. Provo Turtle Divers is also on hand if snorkeling is your preferred method of sea exploration. The Ocean Club is the perfect resort for relaxing in the sun, as well as fine dining, water sports, and golf. What General Manager Lewis thinks is really special about The Ocean Club is “nothing.” While gazing out at the turquoise waters glittering off of Grace Bay Beach, Lewis revealed what makes the Ocean Club a Turks and Caicos original, “This is where we’ve perfected the art of doing nothing,” Lewis said with a smile.